What Divorce?! Ini Edo makes the Naira Rain! 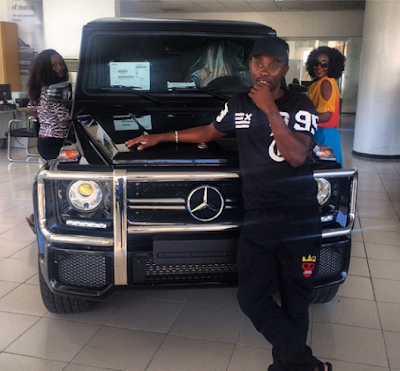 Acquires brand new 2014 Benz Gwagon worth over 35 Million Naira!! Yea the actress was in the news recently for her marriage woes but hey! girl dint make it take her down..she recently just spoilt herself with a brand new ride.. I say spoil because you dont go out everyday to buy a benz..not just any benz a Gwagon for that matter..